Be in the right place at the right time, to catch the perfect light when the sun rises. 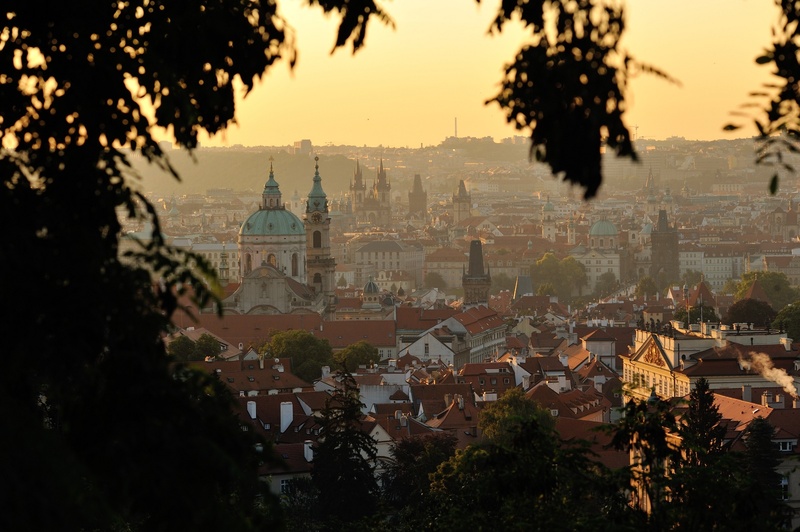 See various vantage points offering vistas of medieval Prague. Visit extraordinary vantage points that are not listed in guide books. Prague is one of the most magical places in Europe, famed for the plurality of old architecture styles, cobblestone lanes and abundant towers. It has been a political, cultural and economic center of Europe, and Central Europe in particular, for over 1100 years. 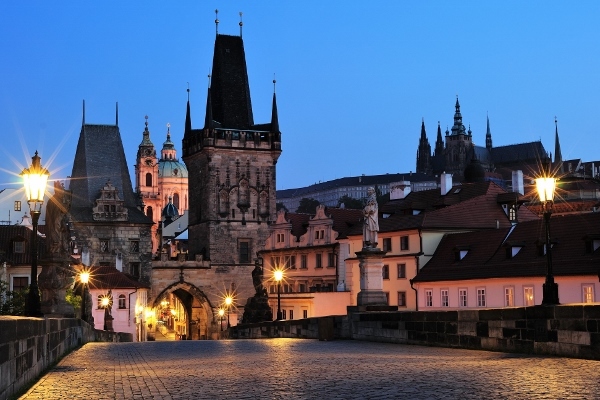 During the Gothic and Renaissance eras, Prague was the permanent seat of two Holy Roman Emperors as well as the capital of the Holy Roman Empire. The extensive historic center of Prague is included in the UNESCO list of World Heritage Sites, establishing the city as one of the most popular tourist destinations in Europe. 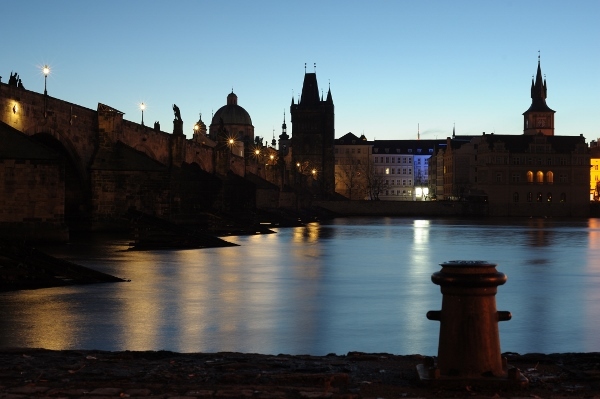 What is Prague Photo Walking Tour about? 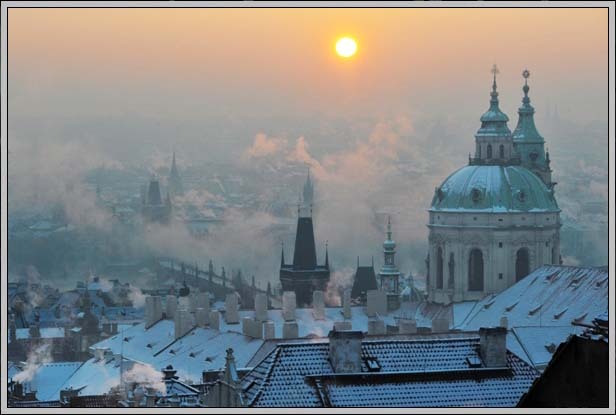 It is simply the easiest way to enjoy city’s highlights and bring home amazing pictures of Prague without spending hours of your precious time on planning or missing opportunities getting lost and visiting poor viewpoints. Leave all your worries to us. Tour begins with meeting our guide on negotiated starting point (or he will pick you up at the place you are staying). Afterwards he walks with you to the best spots and viewpoints in Prague, revealing city landmarks in most fascinating way and with possibility to capture wonderful photographs. Tours length is usually about 5 hours while the pace will be adjusted to you. Guide will make sure you are everywhere in time when the light is most favourable. You can choose from various tours held within different time of the day according to your interests and needs. Don’t waste energy on preparations, rather save all of it for activity you love. Want great pictures but afraid you are missing the skill? Don’t worry, our guides are experienced photographers who are capable to aid you with configuring technical parameters. Every tour is designed for photographers at all levels: beginner, intermediate, and professional. Your guide will reveal the best vantage points on your chosen route and point out exposition and composition details. Moreover, each tour is devised for limited amount of people so you can expect highly individual approach. Our guide is there for you and will see to your wishes and needs. Feel free to turn to him anytime. Get the best pictures of Prague now! Be in the right place at the right time, to catch the perfect light. As light changes, so does town´s atmosphere. Spend magical evening in mysterious medieval Prague, be charmed by spectacular colors of sunrise or experience beauty of morning daylight. See Czech capital city from a different perspective from what you would find in regular guidebooks. Take most stunning pictures of Prague in the perfect light conditions or hire a photographer who will make sure to create memories you will cherish for the rest of your life. Got more questions about us or is there something else on your mind? Leave us a message. If you do not find any suitable date, please do not hesitate to ask us for individual plan. Learned a lot, enjoyed myself, took home great pictures In this walk, we began at dawn at the top of the hill and worked our way down by the monastery, palace, touristic district, Charles Bridge, and into the Old City. It took about 4 hours and we covered several miles of hilly terrain on foot. As promised, our guide was an experienced photographer. He was outstanding. Although I had worked through the same area myself the day before, I had missed about 90% of the best photographic opportunities--he really knows the area and its most photogenic spots. As promised in the description, he made suggestions about exposure settings and other technical issues. But in my opinion where he really shone was in his aesthetic advice: he suggested shot compositions and critiqued our shots, giving us plenty to time to redo them and get them right. I saved some of my before and after compositions, and the improvement is so striking that it's almost embarrassing. He was approachable and made sure to spend time with each of us. Between the beautiful city itself, the well chosen itinerary, and an outstanding photographer-guide, you will learn a lot about how to see like a photographer, while also creating images of Prague that you will cherish. This tour was an incredible value. 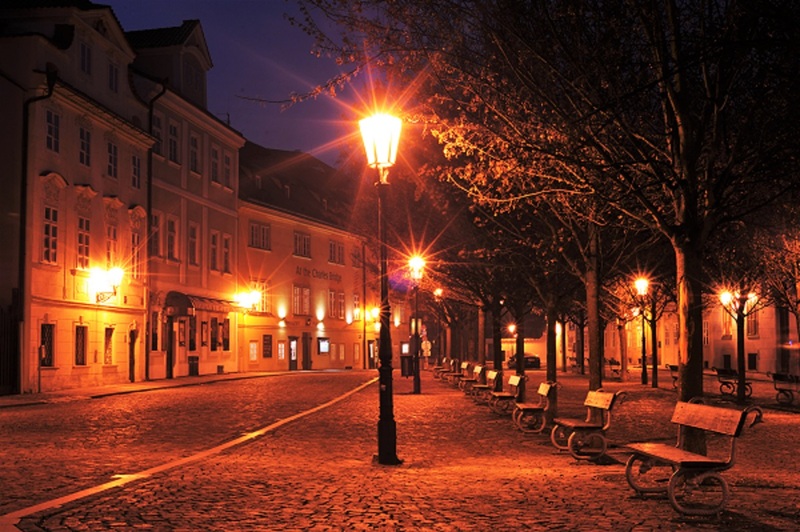 Simply the best photo tour/walk in Prague (guaranteed!) I joined Radovan for the night/sunrise photo walk (3am-8am yesterday). From the very beginning to the end, Radovan was amazing/inspirational and made the walk so much fun that time just flew by. I've come away with some truly exceptional photographs… some of the best that I have ever taken - all thanks to Radovan. This was my third photo walk in as many days in Prague (with 3 different companies) and by far this was the best. Even in the pouring rain (and wind!) at 3am on Charles Bridge, Radovan made the shoot fun and I have incredible photographs that captured the moment perfectly. He is calm, patient and professional with such attention to detail. So talented and a real pleasure to learn so much from him. This walking tour takes you to unique vantage points in the early morning and evening to catch the perfect light and the results are outstanding. This city was meant to be photographed and this is the opportunity to get the best views in the best light. Sunrise near the castle and watching the sunset and the evening lights of the Charles Bridge was magical! 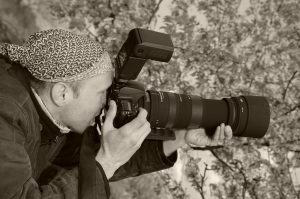 Hi, I´m the local guy who is looking forward to guide you on your tour and share my passion for Prague and photography with you. If you are ging to join a tour or have any question, do not hesitate to contact me, preferably in English, German or Czech language.